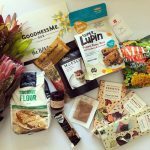 The October GoodnessMe Box was one of my absolute favourites so far. 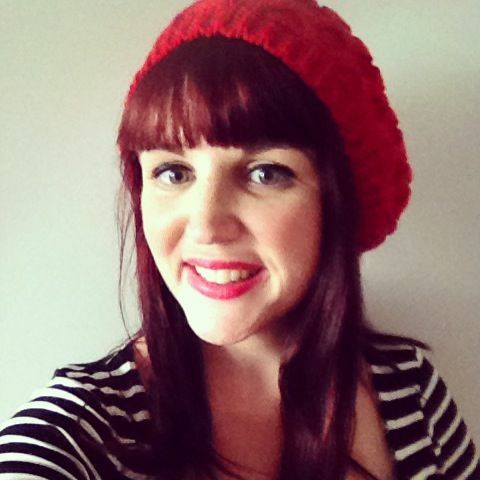 It was put together by Sam and Snez and it was absolutely packed with delicious goodies. I always love my GoodnessMe Boxes but I seriously loved this one! So, come see what was inside! 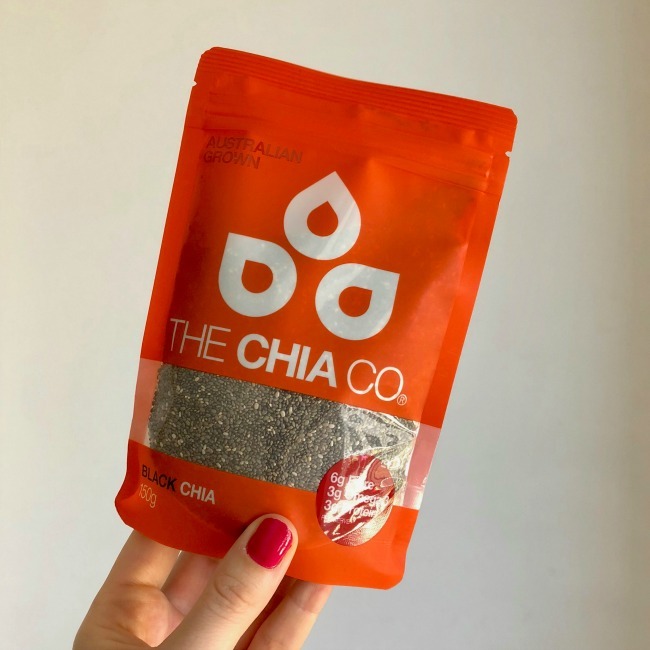 I use chia seeds constantly in my kitchen, and the Chia Co are my go-to brand. 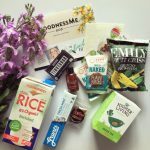 Needless to say I was very happy to see these in the October GoodnessMe Box and they went straight in to some chia puddings for my breakfasts. Like the one I posted earlier this week! 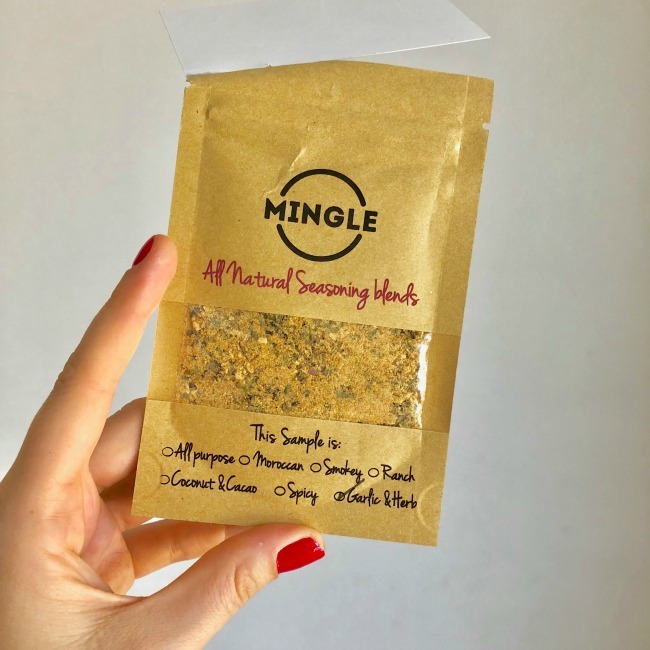 I have seen Mingle Seasoning on instagram for a while so I was excited to give this blend a try. It went on a few trays of roast vegetables and they turned out seriously delicious. I loved the quality of the ingredients in the blend and the mix of herbs and spices made for a really amazing addition to my veggies. The little kick of chilli didn’t hurt either! 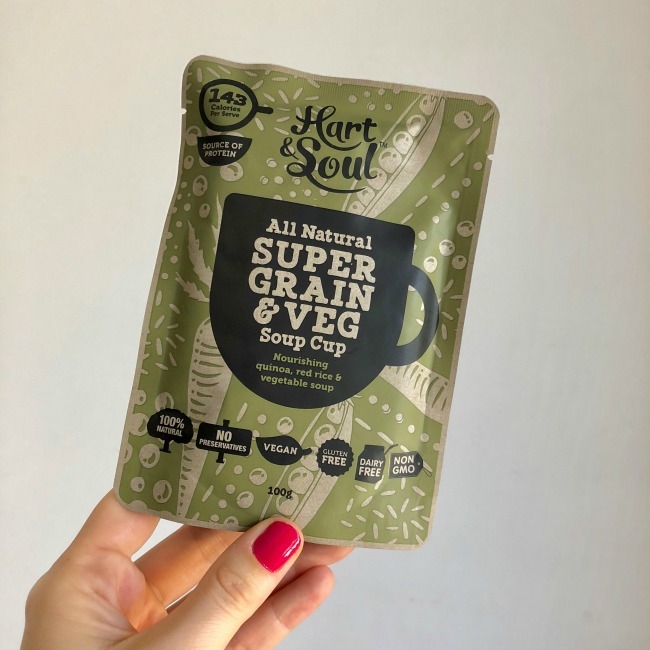 This Hart & Soul soup made for an excellent quick weekend lunch on the run, especially served with some toast to bulk it out a little. I didn’t use as much water as suggested on the packet which allowed it to be a bit thicker as otherwise I think it might have been a bit watery for my taste. It was full of flavour and lots of identifiable veggies and grains which is always important. I’d be keen to try some of the other flavours as well! I’m not a huge coconut water fan, especially not plain coconut water. 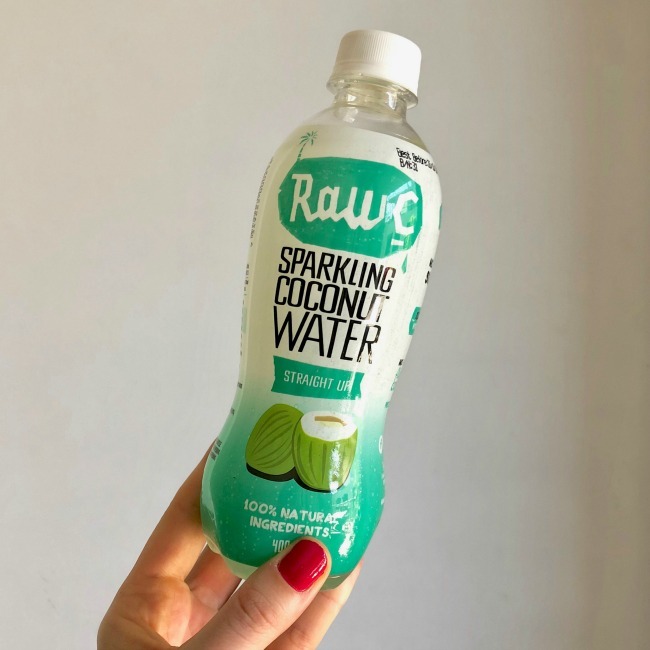 This sparkling version was probably my favourite of the coconut waters I have tried – I do love anything sparkling! I think I’d probably like the flavoured versions a lot more (the lime & mint sounds amazing!) so I’ll aim to give one of them a try before I give up on coconut water completely! 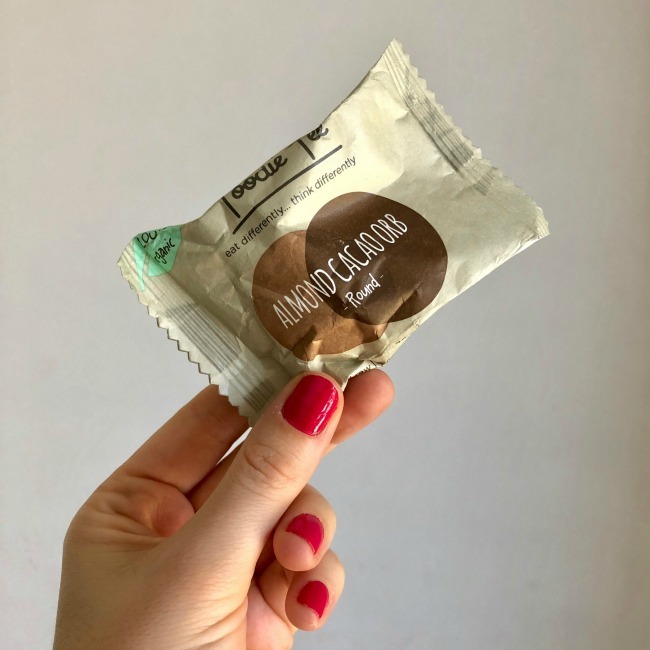 I love having little treats like this almond cacao orb in my drawer at work for when I need a little burst to get through the afternoon. This one was especially delicious – not too sweet and an excellent size for an afternoon snack. 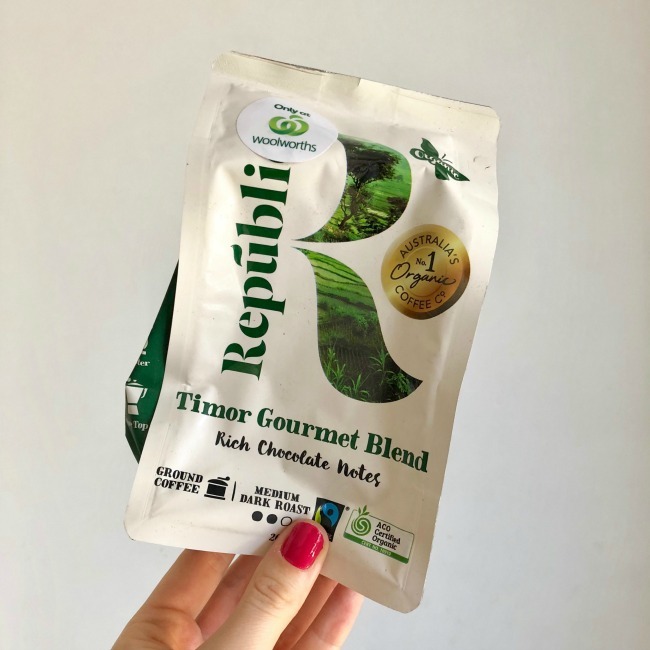 Plus, the packaging is not plastic – it’s compostable! So good! I was ultra excited to see this coffee in the October GoodnessMe Box. It’s organic and fair trade, both of which are super important to me when choosing coffee. Plus, this coffee is seriously delicious and is one I have bought myself previously. I’ve already made an excellent dent on this bag of coffee over the last few weeks that’s for sure! I was super intrigued by these almond chips and was very happily surprised when I cracked open the bag. They were thin, crispy and deliciously salted and were an excellent size chip. 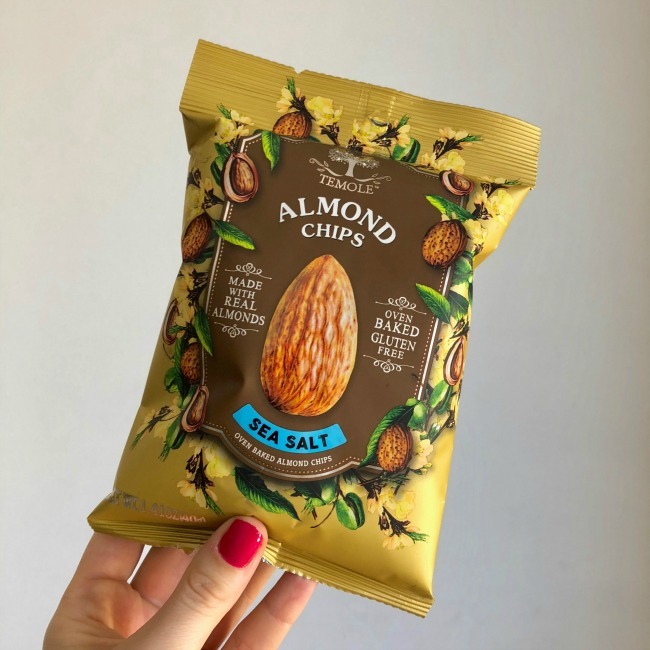 I was mighty impressed that they could turn almonds in to something chip-like and would definitely love to try more of this brand. 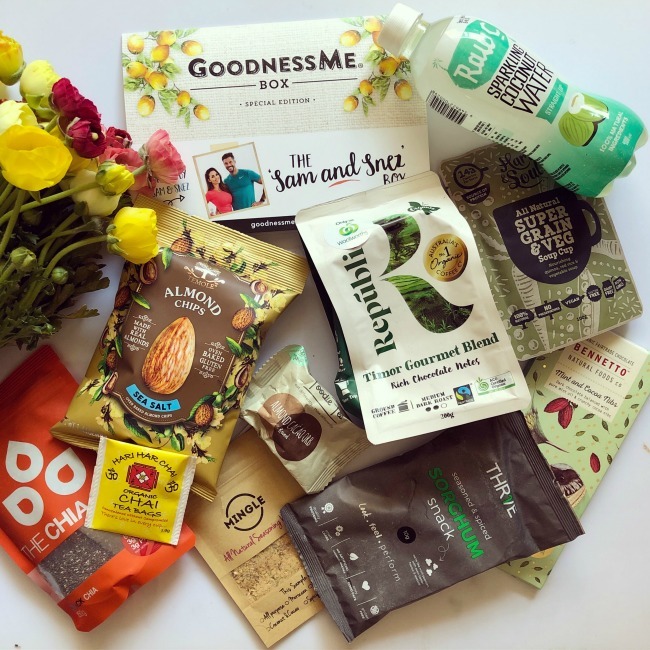 Receiving this kind of product is one of the things I love most about the GoodnessMe Box subscription! 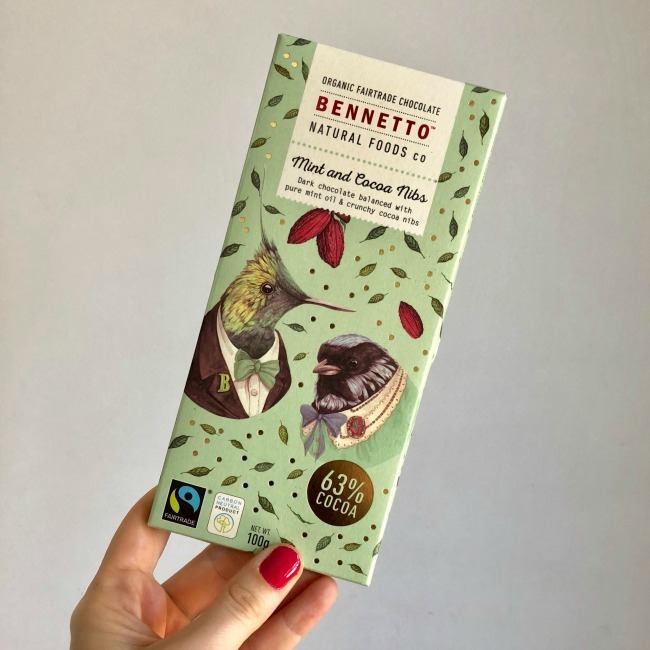 I’ve received a few Bennetto Chocolates in GoodnessMe Boxes now but I’m never sad to see them. Each new flavour I receive is somehow as good, if not better, than the last and this was no exception. I do love mint chocolate and this was not too sweet, not too minty and seriously delicious. It was hard not to devour the block in one sitting and I don’t even have a sweet tooth! 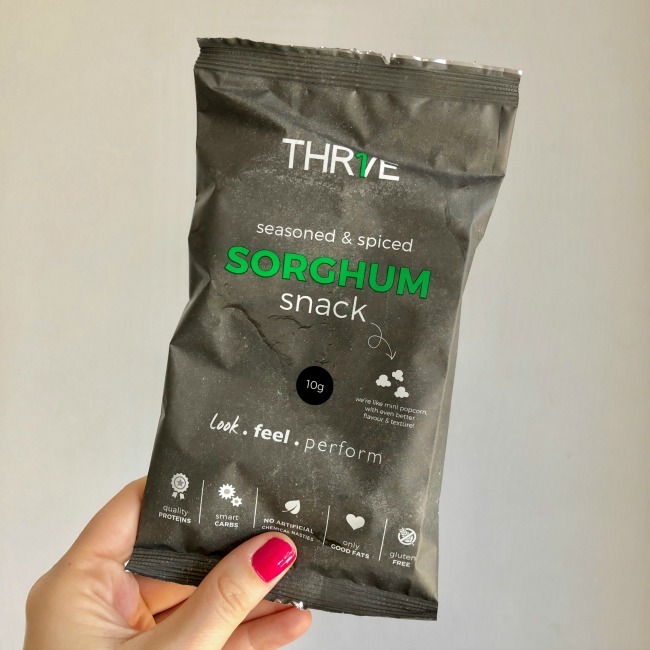 This spiced sorghum was another intriguing addition to the October GoodnessMe Box. I had no idea what to expect when I tried this but it was like a mini popcorn! It was deliciously flavoured, super moreish and made for an amazing snack. I do love popcorn so this was a really interesting and tasty alternative. So good! 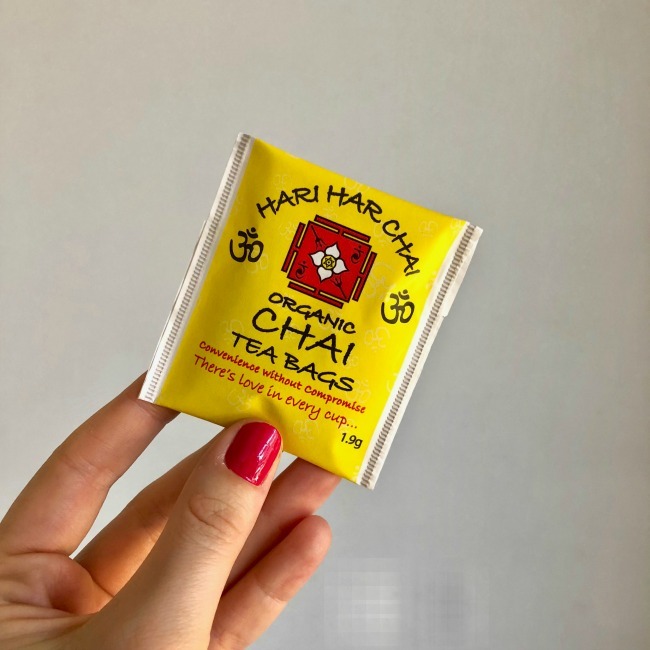 Chai is one of my favourite teas but so many of the commercially available ones are packed with sugar. This was an excellent alternative that was full of spices and therefore made for a really flavourful cup of chai. It was super tasty and disappeared in no time from my kitchen! 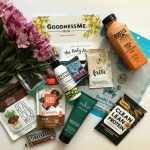 There we have it, the goodies from the October GoodnessMe Box! What are you most keen to try?